External Relations Development and Alumni at Monash University. I will be raising money from alumni, corporations and foundations to support research and scholarship. I will have some travel back to the US for donor visits including the Gates Foundation – funders of Eliminate Dengue research by Scott O’Neill, Dean for the Faculty. 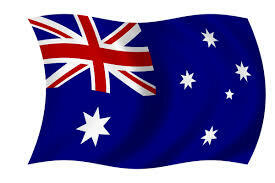 In my role, I will join a development team from Australia, Ireland, Canada and the UK. While assigned to specific faculty within Monash, we collaborate on donor-centric fundraising. The team has had tremendous success and I will be the first US development staff to join their team and work with the Faculty of Science. When I first lived there – there was no “social media”! So while thousands of miles and 15+ hours away – I feel like contact and connection is easier these days. PS Keep your LinkedIn profile updated – their search consultant found me here. Entry filed under: Fundraising, Travel. Tags: Faculty of Science, Living in Australia, Monash University, Moved to Melbourne, Scott O'Neill. Thanks Erica please come back and feel free to introduce any friends in Oz. I’ve been fortunate to attend IFC and IOF a number of times and have many colleagues and friends around the world because of it. Barbara, congratulations on your new position! I wish you well as you begin your new adventure. I’m familiar with Monash University and some of the cutting-edge research they do. I use an app developed by Monash to support those on the FODMAP Elimination Diet developed by the university. Monash is fortunate to have you coming on-board. I know you’ll help them secure the resources necessary to continue doing great things. Thanks Michael. You’re not the only one using their FODMAP. Many others have mentioned it as well.